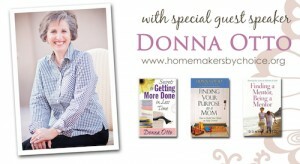 May 9, 2015	1 p.m. - 3 p.m.
Donna is also author of a variety of inspirational women’s ministry books including Loving Life as an At-Home Mom, Finding Your Purpose as a Mom and The Stay At Home Mom. 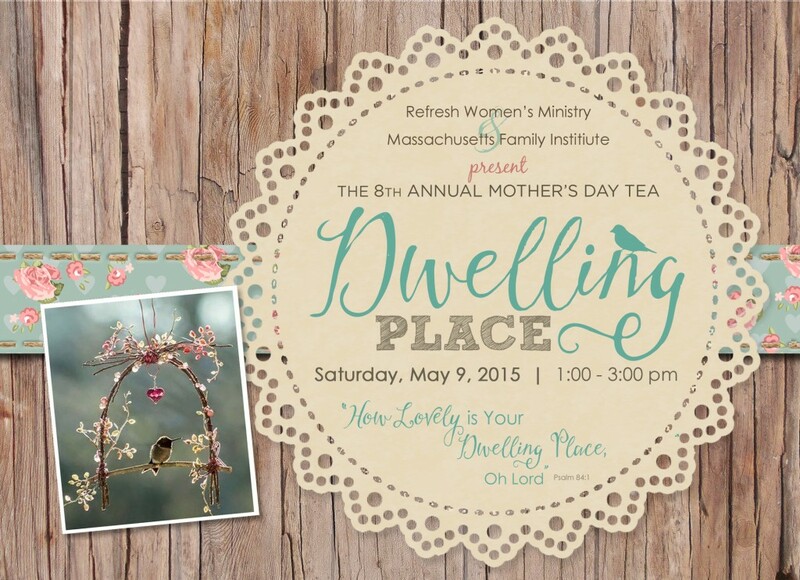 This Mother’s Day weekend, guests have the opportunity to glean from Donna’s years of experience as a stay-at-home mother at the 8th Annual Mother’s Day Tea, “Dwelling Place.” We welcome you to join us for a time of spiritual refreshment and encouragement. MFI is proud to co-sponsor this women’s ministry event on Saturday, May 9th from 1 p.m. – 3 p.m. at Mount Hope Family Life Center in Burlington, MA.